Here is a great investment property for those looking for a steady revenue stream. Tucked away along the cliff, Pacific Towers Condominium is located in central Guam in the heart of Tamuning. The actual unit is conveniently located on the 1st floor in a quaint corner. With a great price and great amenities, Pacific Tower Condo has become a idea place for singles, couples, and starter families. With its great location, it is just a few minutes to malls, restaurants, movies, hotels, and just about anything. The condo complex has a full time security and is well lit. Listed at $85,000 in an excellent price range. 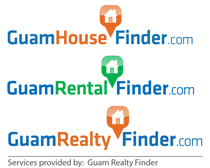 Come take a look at this nice nice condo and enjoy convenient Guam living.